It has been a busy couple of weeks... first a trip to Tennessee, then a quick trip to Arkansas, then a trip to Iowa this past weekend to host a bridal shower for my sister. All the travelling didn't leave a lot of time for new updates. 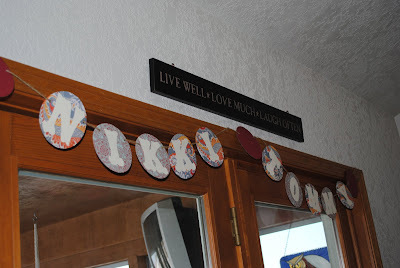 Plus, I had to do a craft project and put together this sign... I'm not really a crafty person so things like this usually work a lot better in my head than they turn out but I was pretty happy with how this sign worked. Don't laugh, crafting is not my strong suit. 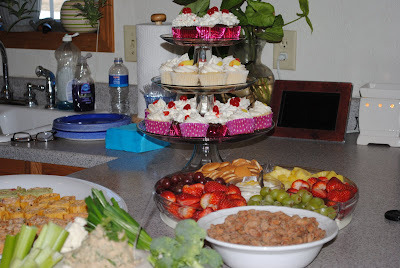 For the bridal shower, we did light hors d'ouevres and cupcakes since it was an afternoon affair. Pretty easy to put together, most of this stuff can be made in advance so you can put it together the day before and refrigerate. Then you'll just have to assemble the day of the party. 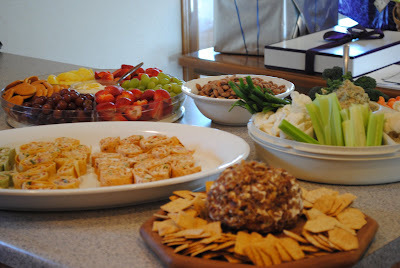 I'll be posting the recipes through out this week so check back soon!